If you are looking for cost efficient heating then we give you non biased professional advice on the right boiler for your needs, including considerations of on-going reliability and running costs. Mussons Heating specialise in the installation of condensing boilers and renewable energy products that use the latest technology available. Modern condensing boilers improve efficiency to over 90% which could save you a minimum of 30% per year on your home heating bills and represents a big saving over the lifetime of your boiler. 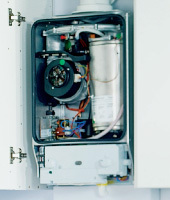 Depending on your heating and hot water demand there are different types of condensing boilers that are available so please talk to us with any questions you might have regarding the main boiler types. Our engineers are Gas Safe Registered (previously Corgi). 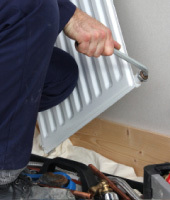 So, no matter what type of boiler your household has our team of experts can quickly diagnose and repair your boiler using quality components and parts, all work is covered with a 30 day labour and 1 year parts guarantee. 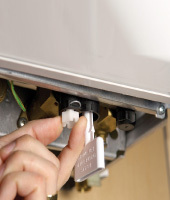 Installing a cheap boiler can be a false economy, reliability and efficiency over the years will save you money. 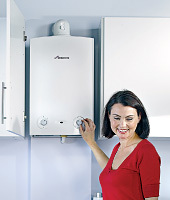 Worcester Bosch boilers are by no means the cheapest boiler on the market; however we believe they give very good value for money in the long term. A boiler installation is not a job you should need doing often so we believe it is better to pay a little extra and install a boiler with an excellent reliability and efficiency record. In order to be a Worcester Bosch Approved Installer we have successfully demonstrated to the Bosch Group that our installations of Worcester products are to the highest standard. Due to the confidence Worcester have in our installations, we are authorised to offer extended Warranties backed by Worcester Bosch. Our Services: Commercial boiler installation and servicing, industrial boiler installation and servicing , warm air heater installation and servicing, Radiant tube installation and servicing, Gas pipework purging and installation, Oil boiler installation and servicing, LPG domestic gas boiler servicing and installation, energy efficient advice - solar panels, ground heat source pumps, air to air and air to water pumps, boiler repairs, burst pipes, central heating installations, under floor heating installations, gas safety inspections, general plumbing, heated towel rail fitting, hob & gas oven fitting, immersion tanks, replacements & repairs, landlord safety certificates, leaks, overflows, power flushing, pump repairs, replacement radiators, saniflo’s, shower & bathroom fitting, solar heating, replacements & repairs, toilet fitting. 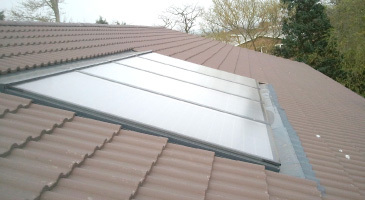 Areas we cover: Grantham, Lincoln, Newark, Nottingham, Peterborough, Sleaford, Stamford. Postal codes we cover: NG 31, NG34, NG 24, NG 1, LN 1, PE 1, PE 9.